We are experiencing high demand and can’t guarantee availability tomorrow. Reserve today with free cancellations. Why are these good to know? 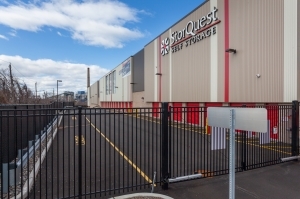 At StorQuest Self Storage in Jersey City, NJ, we understand that your time and possessions matter. 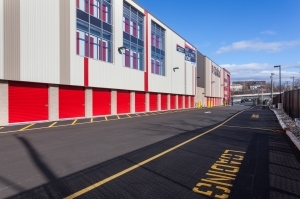 Our clean and reliable storage facility on Tonnele Ave is minutes from the Pulaski Skyway and Holland Tunnel, making it easy to drop off or pick up your belongings on the go. We provide the space you need to live the life you want. 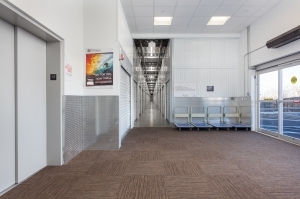 Whether youâre looking to grow your business, remodel your apartment or home, or organize your seasonal gear, you need space to make it happen. That's why we offer simple solutions to make it easy for you to pack, move, and store with ease. 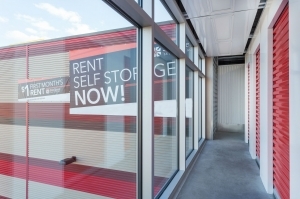 Our convenient facility has everything you need for a simple and effective storage experience. Streamlined move in. Clean place. Clear process. Tour and sign up were painless. Place is clean and temperature controlled. Going in and out is safe and secure. Highly recommend. The onboarding system is smooth and painless. Facility is just 1 year old. Clean and temperature controlled facility. Location is pretty convenient too (as long as you don't get stuck in traffic towards the Holland tunnel. You have 1 month free, but note you will get charged for admin fee, and if you donât have their lock, expect to pay for that as well which will be a almost $50....nonetheless location is good for me an the monthly pricing is affordable and looks clean. 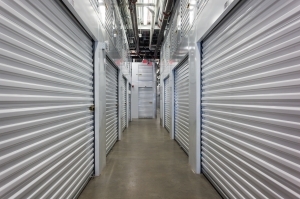 If you have rental insurance then your storage unit should also be covered! I had a great experience . They handled the move in with great care and professionalism. I was even escorted to my storage unit and was instructed on the use of the provided lock they had . I was even informed of a military discount and being a veteran , I was very happy with that discount . Awesome service and very helpful . Got me the best option possible. Nice new storage facility with great customer service. Ana and her fellow front desk people were great to work with. Clean new facility, good customer service. No hassles, upsells, etc. only downside is that some of the units require some walking to get to. Price is right. Great storage. Has a convenient location, clean, the units are easy to access. Super affordable prices with the first month being essentially free ($1). Most importantly, the administration building in open until 6PM on Sunday (while most other stories are either closed on Sundays or open only until 4PM), and the storage itself is open until 9PM. Highly recommend. Great customer service. Easy layout, and space. The instructions are fair and easy to understand. I would store more if I could. Thank you storequest!! 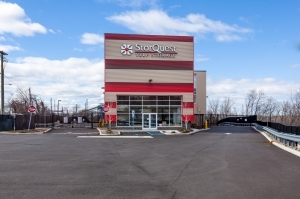 Storquest is a nice facility. Sparefoot.com helps find great deals. Thumbs up. 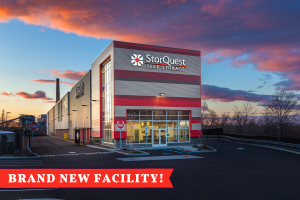 Storquest is a nice facility. Sparefoot.com helps find great deals. What more do yowe need? Checked in on a Saturday afternoon. There were a few people ahead of me and the wait wasnât too long givin the amount of people that were being helped. Once my turn had a real nice experience with the gentleman that was working. After the paperwork and signatures were completed the gates and codes were explained. All questions answered and the unit was shown to me. It was clean and there were hand carts to use. Easy, efficient, friendly, and affordable. What more do you need? Very friendly and helpful staff. Huge facility that is CLEAN, AFFORDABLE, and convenient. I like the full size modern elevators and square footage / choice of height on the storage units. Great value. Staff was nice and the place was very clean. Very accessible! Good spot at a vey reasonable price close to NYC. Itâs about 10-15 mins from hudson river front. The only trouble we had was finding the luggage carts but overall experience was great. I'm very happy with this facility, the communication from the people working there, the cleanliness, the price of the space. They had dollies and carts to make move in quick and efficient. Highly recommend! The facility is brand new and super inexpensive. The staff is pleasant. The facility is clean, but off a very busy road, so can be a challenge to reach and depart. 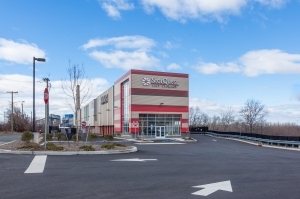 The prices are great and staff is nice, but I recommended that they show clients where the storage unit is in the facility before concluding paperwork. The staff is on the light side, generally only one person working at a time. Friendly and efficient, super clean and spacious. I enjoyed meeting the staff member who checked us in and processed an easy registration process. 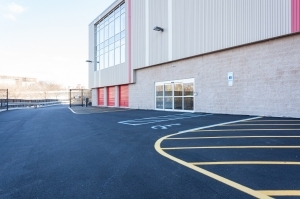 The space was clean and had ample hand carts in an easy to access location. 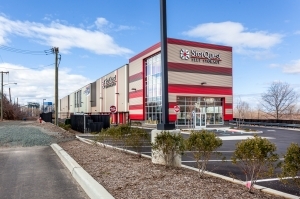 I had an amazing experience with Storquest from reserving the unit to signing the lease. 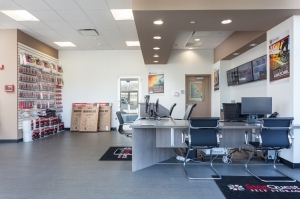 The Staff is professional, efficient and very helpful in answering questions and accommodating your needs. They allowed me to extend my reservation so my trip to Storquest would not impede with my work schedule. The facility is brand new, clean, and very efficient. They showed me several units to choose from. The lease process was very well explained to me. I feel extremely fortunate to have found this place! Thank you team Storquest. 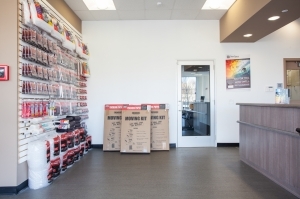 Clean, fairly priced and excellent customer service. Itâs so far been a pleasant experience! Though we initially had to wait for someone to show for a good while she certainly made up for it, in spades. Moving-in was a pleasant experience & I hope & trust it will continue to be as wonderful for as long as I continue to use this storage facility! A very nice facility. Clean n will space out. Beautiful new facility with very helpful staff. I recently moved into this storage facility and was very pleased. The property is brand new, clean and well staffed. The manager was extremely helpful and quickly dealt with an issue when it arose. I would recommend this facility to anyone looking for storage in this area.